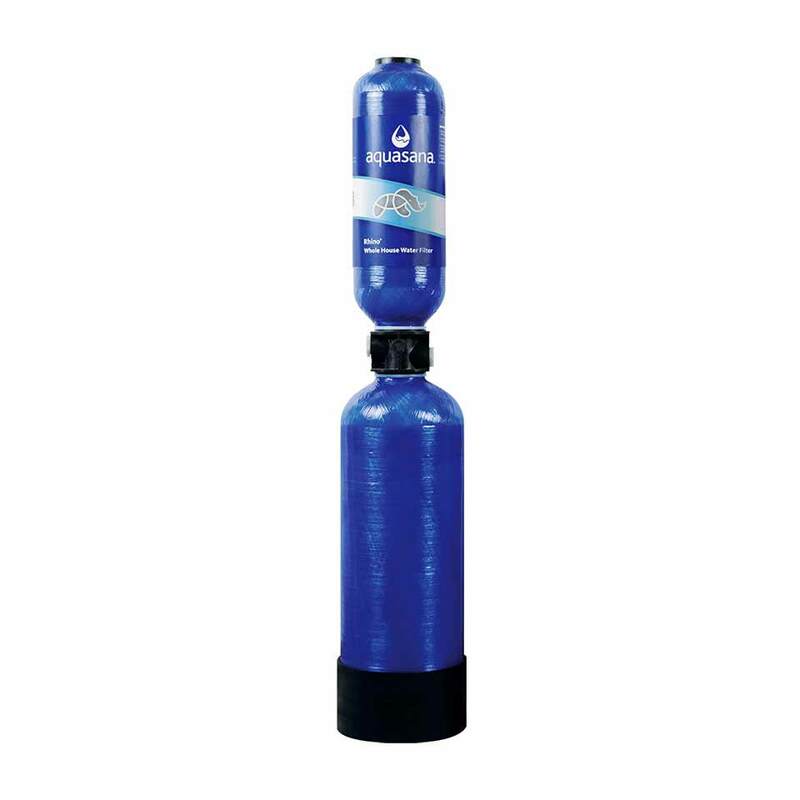 The main tank replacement for Rhino EQ-1000 whole house water filters, this high-capacity, 3-stage, dual-chamber water filter unit is virtually maintenance-free for 10 years or 1,000,000 gallons of use. Premium Rhino Whole House Filter Replacement is rated 4.7 out of 5 by 293. 10-year, 1,000,000 gallon main filter replacement for the Premium Rhino EQ-1000 Whole House Water Filter.. This high-capacity, 3-stage, dual-chamber water filter unit is virtually maintenance-free for 10 years or 1,000,000 gallons of use! Average usage for a family of 4 or 5 is 100,000 gallons/year. Rated 5 out of 5 by Ron G. from Our 1,000,000 Gallon Rhino Whole Home Filter We had our 1,000,000 gallon Rhino Whole Home Filter System installed a couple of weeks ago. We purchased the 1" Pro Install kit and our plumber was very thankful for that. He said it really made the install very easy. We are really enjoying the benefits of the system. Being able to use water right from faucet in the kitchen and bathrooms and not having to deal with the chlorine and other chemicals is truly a blessing. Having filter water for bathing and showering is already yielding benefits by reducing skin issues for us. Rated 5 out of 5 by Evelynn Starrett from Still happy with our whole house filter We ran into a problem with the filter replacement. When the plumber came to install it as he had the last replacement, the fittings no longer fit. He had to cut the pipe and move the hook up 1/4 inch and all this took more time and cost more for us. Very disappointed in that. The whole job cost us $150, much more than last time. Rated 5 out of 5 by Jlabert1 from Great whole house water filter and softener We bought this for our new house, and after 2 years, faucets, glass shower doors all still look new, and also the water tastes great, would buy this again. Rated 5 out of 5 by KRUCKU from GREAT PRODUCT HAVE BEEN USING THIS PRODUCT FOR 15 YEARS,PLUMBERS TELL ME MY PIPES ARE VERTUALITY CLEAN. Rated 5 out of 5 by Jandr from Better than expected. The filter system was purchased after a cooling system contractor stated that we really had "bad water." We are on a mutual well system and our cooler was being plugged with calcium deposits. I had the system installed by a plumber and we noticed immediate results. I am now able to use tap water in coffee makers, not distilled water as I have been doing in the past. Water spots on items have disappeared. Rated 5 out of 5 by From The Homestead from Great Product and Service We bought an Aquasana whole house filter system when we moved to The Homestead a few months ago. With the old system that came with the cabin only filtered sediment. We had great water taste and it was totally safe to use, but we were unhappy with the slightly hard water which left scale on the shower and sinks and lots of crystallized gunk in the hot water heaters. 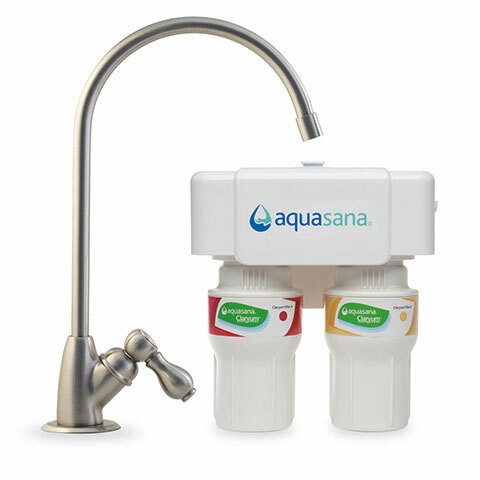 The Aquasana system was very easy to install and has nearly eliminated any film - we simply wipe off the faint residue rather than having to descale. We had a small leak on a PVC fitting due to our own improper gluing. Since it was our fault, we offered to pay for the part but Aquasana covered it under warranty and we received the replacement part in a couple of days. Great service, no hassles. Rated 5 out of 5 by DebraCali from Great system for the price!! Recently installed the house system and the reverse osmosis under the sink. We are extremely happy with the quality of the product and the fact that the water now running through the house plumbing and our tankless water heater is clean and safe. We no longer have to buy bottled water, what a savings! And the reverse osmosis water tastes better than bottled water and the quality is so much superior. And no, the company DID NOT put me up to this review! One more thing, be sure to get a good qualified plumber to install and follow the install instructions verbatim. Rated 5 out of 5 by coolgenes from Thank goodness for my purifier I installed my Rhino system 2 months ago and have enjoyed good tasting water, easier to clean dishes and laundry and no more mystery pink slime around any toilets or faucets. It's so easy to change the filters with the pro upgrade water shutoff handles and eww how gross is that prefilter after the first change, I can't believe this is acceptable water by any standards, people should not have to drink that. Rated 5 out of 5 by Steve Roach from Can't be more happy with the Rhino!! We went with the 1mil gallon water filter system, got it at a great price and had a professional plumber install it using all copper fittings. Rated 5 out of 5 by Kathy TN from Amazing Product So very glad I ordered this product. It saved my health. 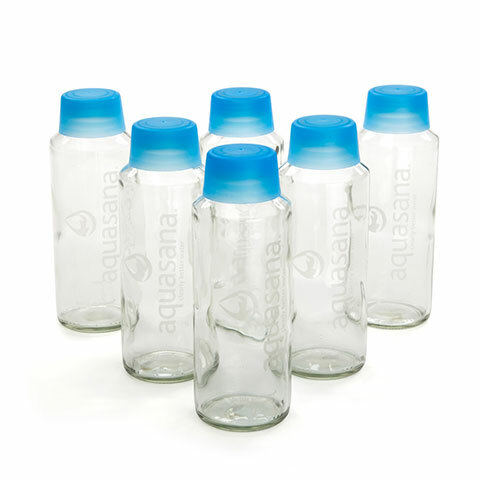 I purchased an Aquasana 400,000 whole house filter with chloramine add on, about 5 years ago. I would like to replace the main components with the 1,000,000. Will all components fit with the existing plumbing connection parts and sizes? Is it larger? Yes. The components are compatible. However, the 1,000,000 10-year system does not remove chloramines, only chlorine. The Whole Home Systems are 46 inches tall. Does the Rhino whole house filter completely remove iron bacteria? Which whole house filter replacement would you recommend for well water with lots of iron? Thanks! 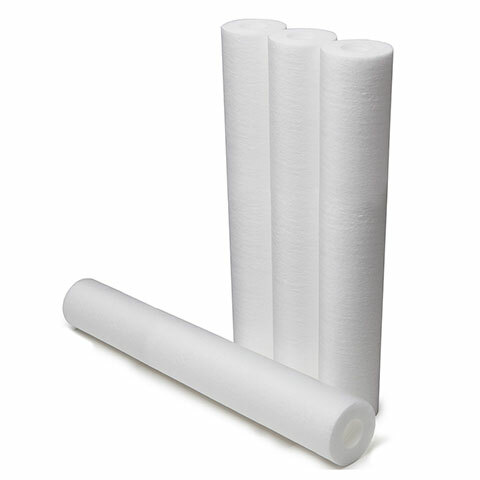 Does the whole house filter have any PVC parts?